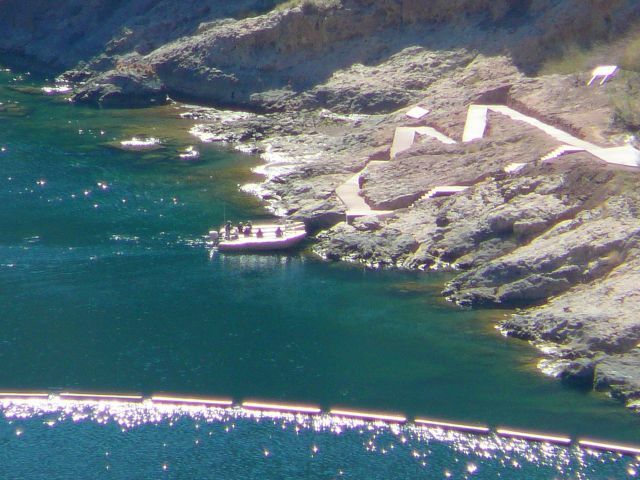 From the top of the dam, we looked out and saw a tour boat on the river. The boat pulled in for a dam tour. I hope those folks have some way other than walking to get to the top!